We are pleased to announce a Climate Change Science evening featuring two excellent speakers who fight climate dogma and detractors every day. Please join us on April 10th for our Friends of Science Annual Event. 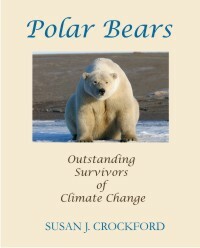 Polar Bears: Researcher and Author – Dr Susan Crockford: “Polar Bears: Too Hot to Handle” will be speaking about how a thriving species like the polar bear came to be classified as ‘threatened’ with extinction based on untested computer models. This is the story of what happened when Dr. Crockford challenged that determination and showed that the models had failed: sea ice declined abruptly but polar bear numbers did not. A few rooster biologists and some proponents of catastrophic man-made global warming made unseemly attacks on Dr. Crockford but could not stop the erosion of public support regarding their messages of doom. 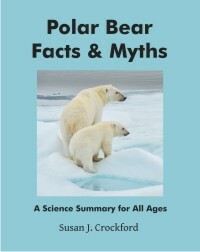 Dr. Crockford’s brand new book ““The Polar Bear Catastrophe that Never Happened” will be available for purchase at the event. In this talk, Dr. Soon will discuss the past, present and future solar and orbital boundary conditions both sufficient and necessary for the study of Earth climate and climatic responses. In addition to an already immense complexity, Dr. Soon shall proffer further notes on the plausible inter-related tectonic and magmatic responses within the ultimate framework for a more comprehensive attempt to understand all the interconnected phenomena of Sun-Earth relations. These presentations are designed for the general public. No special economics or climate science knowledge required. Doors open at 5:45pm. Event opens with a buffet dinner (included) during the mix ‘n mingle from 6:00-7:00pm followed by opening messages and our speakers. Climate Science book and reports with be available for purchase at this event – Cash only. Tickets include buffet dinner served from 6 – 7pm. Seating will be tables of 8. Order a full table and get reserved seating. Parking is available on the East side of McMahon Stadium and PARKING IS FREE after 6:00pm. If you have any questions, please email: contact@friendsofscience.org or call 1-888-789-9597 Ext 2. 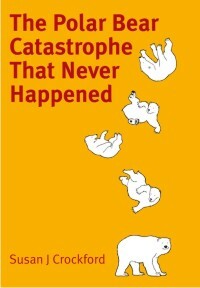 This entry was posted in Uncategorized and tagged book launch, Calgary, catastrophe, Friends of Science, lecture, polar bear, science, signing. Bookmark the permalink.